This event starts at the sound of the starting signal. 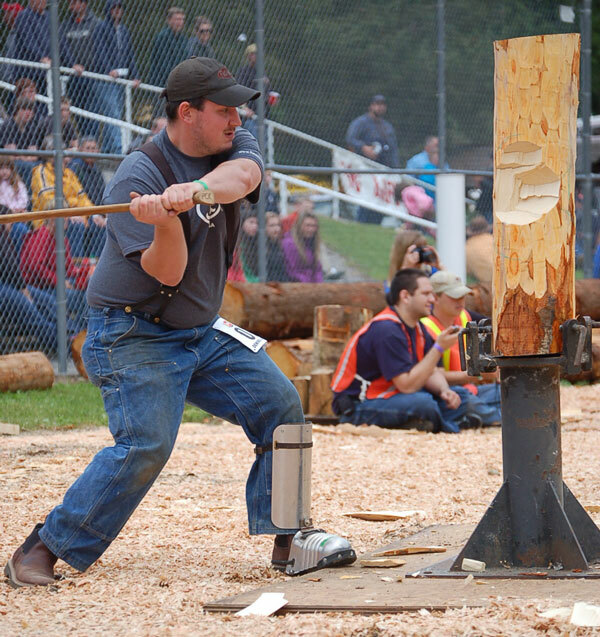 The contestant must cut halfway through the log from one side, then turn around and complete the back side. Time stops when the block hits the ground.